On 26th September 2017, Fintech District was launched in Milan, the first gateway to the Italian fintech ecosystem that brings together startups , entrepreneurs, financial institutions, investors and universities, with the aim of fostering the financial industry’s future development and the growth of the companies in this industry. The opening event was an occasion to discuss the opportunities and needs for the development of the Italian fintech ecosystem together with institutions, companies and industry and the hundreds of participants who took part to the event. Fintech District (www.fintechdistrict.com) is a community founded and promoted by SellaLab, the innovation platform of Banca Sella Group for startups and corporate companies, and Copernico, the platform for working spaces that promotes smart working. Fintech District is located in Copernico Isola for S32, via Filippo Sassetti 32, in the heart of the financial district of the Lombardy capital. It is a hub where the main Italian Fintech ecosystem actors have the opportunity to work together to foster the creation of industrial and commercial collaboration, attract new investments and boost the development of the fintech sector, like other international realities such as Level39 in London or Station F in Paris. Fintech District aims to create a network of actors in the most innovative finance sector to contribute to the growth of the Italian business fabric through open innovation, meeting moments, sharing of best practices, pooling services and skills, launching new partnerships and organizing events for financial education. The members of Fintech District are invited to actively contribute to the community they are part of, helping the development of knowledge and the identification of the evolutive lines of the sector and the regulatory framework, promoting the attractiveness of national and international capital, the diffusion of enabling technologies for new financial business models and helping to grow talented talents and offering their services on favourable terms. – Capitals: involving incubators, accelerators, business angels and venture capital funds, also at an international level, that can make funding for new ideas and for participants in Fintech District. 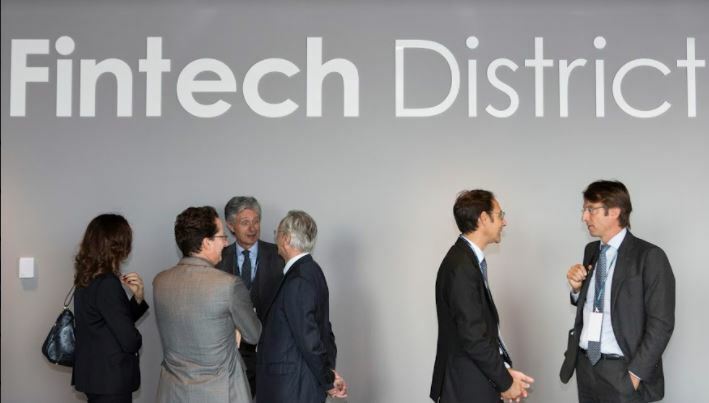 Joining Fintech District means joing the Italian Fintech ecosystem and getting tools and opportunities to encourage the creation of new collaborations or strategic partnerships as well as to establish relationships with international associations and partner financial institutions. Members also have access to industry conferences and events to identify the development lines of their projects and the industry in general, participate to pitch days to identify potential investors or new customers, and to access to technology solutions that can help to develop business model or business ideas. In order to foster interaction among network participants, members of Fintech District also have access to various solutions and conditions to the space of Palazzo S32 in Via Sassetti 32 in the Isola district, owned by the Banca Sella Group and managed in collaboration with Copernico.